We are a bunch of people who love making pictures. This blog is about why we love what we do and how we do it, as well as about the stuff we encounter that really excites us and we want to share with you. We are not the usual corporate company. We like to experiment and work on portfolio projects as well as amazing advertising campaigns. 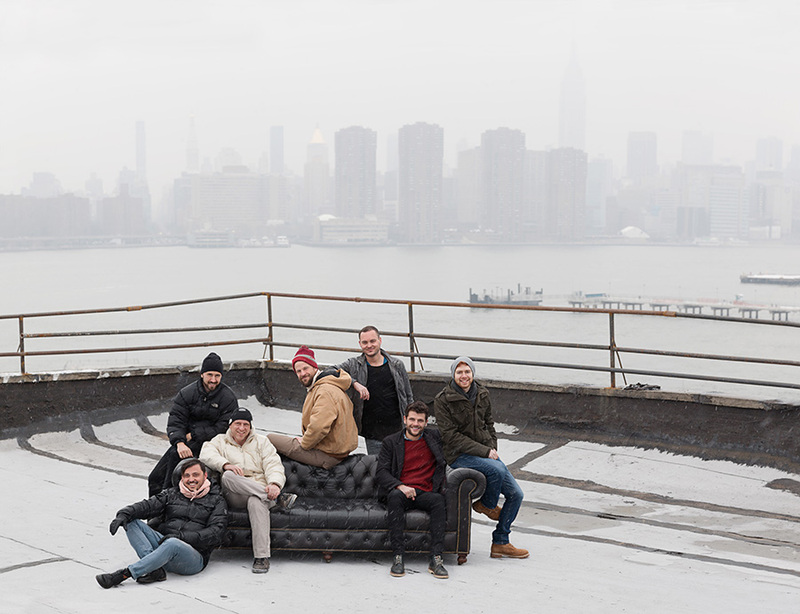 Below is a picture taken in Brooklyn by Ralph Mecke, who was kind enough to take a crew shot on the roof top of the old factory in which our studio is located. After just schlepping our black leather couch to the roof it started snowing!